King Menua was a Urartian King in Ancient Asia Minor. He was the son of King Išpuini and ruled between c810 – c785BC. Menua built irrigation channels near Lake Van in the Armenian Highlands with construction of the fortress of Qalat Gah also attributed to him. The Menua Channel, also known as the Semiramis Channel, was one of a number of water channels which served the area of the capital Tuşpa. 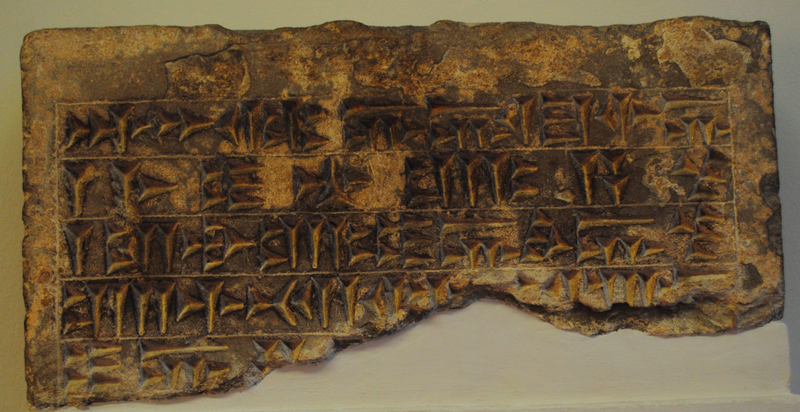 A cuneiform inscription (above) is on display in the Pergamon Museum in Berlin giving details that the son of King Išpuini, King Menua, constructed a building 10km north-east of Lake Van. The Menua Channel was marked by a number of such inscriptions.